If you’ve read a few recent posts you’ll notice that I had some issues with my CPAP treatment. 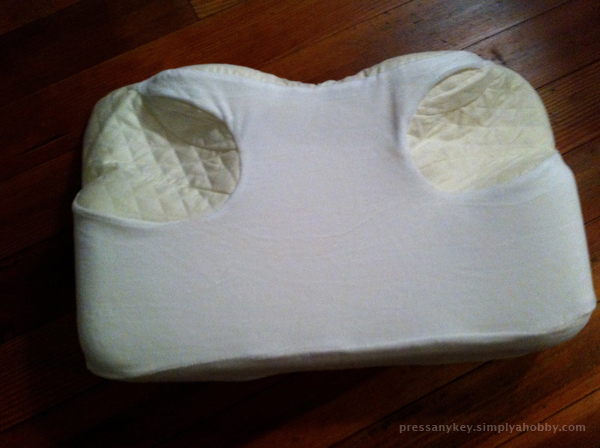 Before I figured out that the problem was actually my mask seal, I decided to purchase a “CPAP pillow”, which is a pillow made to accommodate a CPAP mask. The concept is simple. These pillows are usually formed with indentations in which parts of the mask can fit into, with the intention of relieving pressure from the mask to maintain the integrity of the seal. Materials vary – some are made of memory foam. 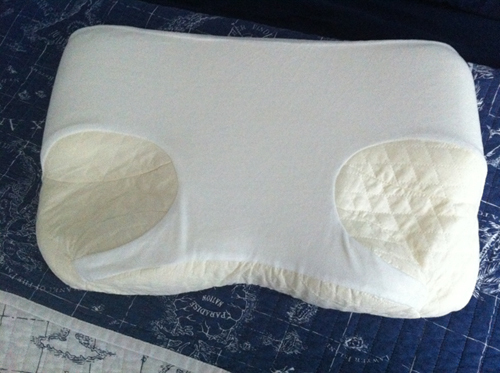 I recently purchased one called a Multi-Mask Sleep Aid CPAP Pillow for about $60. Overall, it had very good reviews and I thought it would be worth trying. In the end, it doesn’t seem to work for myself. I had two problems with the pillow. The first problem, which some reviewers complained about, is that I found it too firm. I knew that might be an issue – I’ve always preferred a soft pillow (firm pillows tend to elevate my neck too high for comfort). The other problem is the effectiveness of the indentations. It’s a clever idea that might work for some but I didn’t find it practical. While I can place my head and the mask in such a way that it does relieve pressure, I also found that it was unlikely that the mask would always end up in the same position over the course of the night. In summary, I just didn’t find it very comfortable. Others may have a different experience.